Company:	Sir-Tech Software / Gamepot Inc.
– Continue the adventure with the group of adventurers that braved through Wizardry 7, or create a new custom party from a plethora of races and classes. – Choose a custom personality for each character and hear them speak over 100 lines of dialogue. Kindly or chaotic, burly or surly – how your characters act is completely up to you. – Talk with intelligent characters who react to how you treat them and become your allies or enemies in your quest of 200 hours of gameplay or more. Windows XP / Vista / 7 / 8,, 1.8 GHz Processor, 512MB RAM (1 GB recommended), 3D graphics card compatible with DirectX 9.0c, 2GB HDD, Mouse, Keyboard. 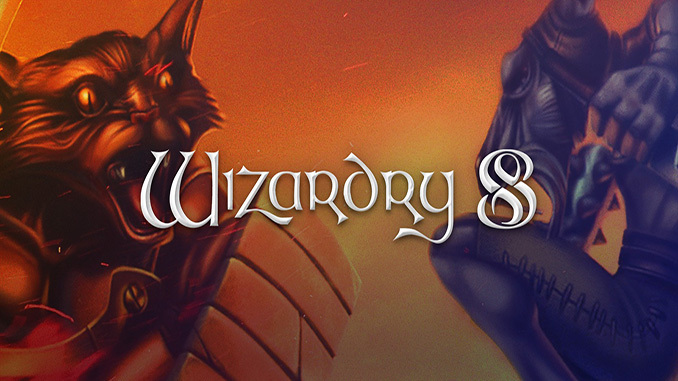 Wizardry 8 (c) Sir-Tech Software / Gamepot Inc. The universe is in the throes of violent upheaval and change. Vast and mysterious forces are preparing for the final confrontation. A small group of heroes from distant lands must plunge into the heart of the maelstrom, to uncover long-forgotten secrets, and bring about a new era. Should they succeed, they will gain the powers of the gods themselves.